Our company is one of the most reliable with long-term transportation experience. Be sure – your cargo will be quickly and safely delivered. The sense of safety is ensured by a tracking system implemented in our trucks. This system gives relevant information about the location thereof. Our experience helps us to work professionally and to solve competently arising problems. We are proud of our long-term cooperation and the growing number of customers including the names of well known enterprises. 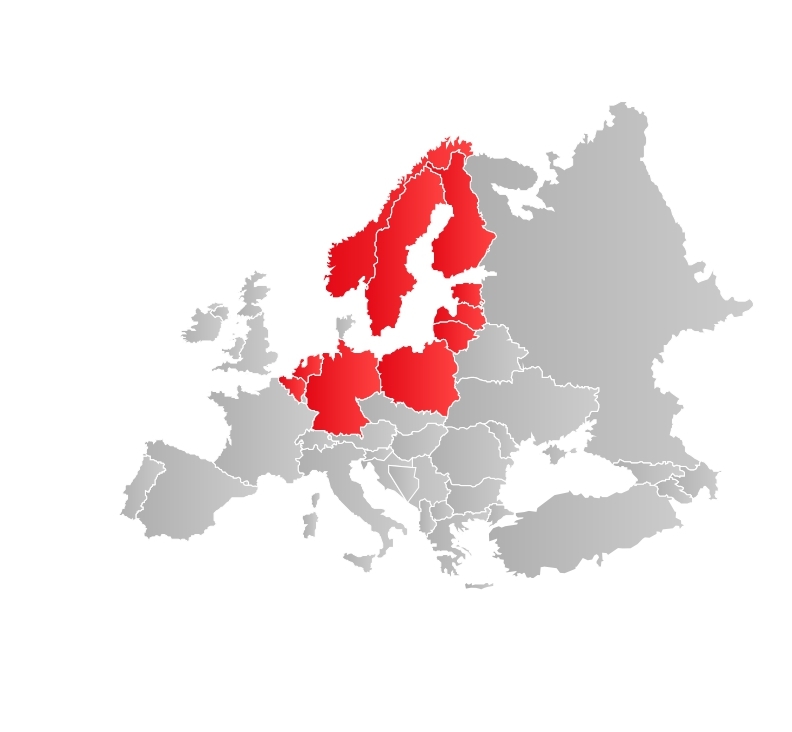 The strategically convenient position of our company in Lithuania enables us to carry operatively goods between the countries of Western Europe and Scandinavian countries. The forwarder unit will quickly find your desired type of a transport vehicle to carry goods to various directions. Truck repair workshops guarantee that transport vehicles are technically orderly and operative.